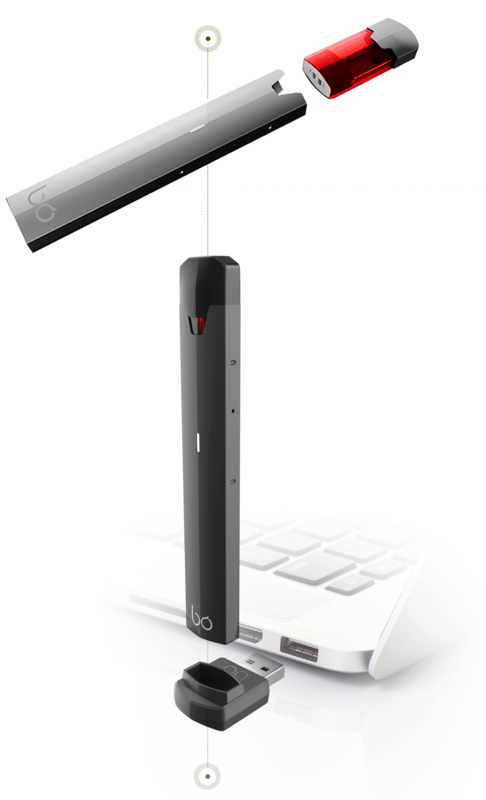 Experience the Next Level in Vaping with Bō. Taking as our starting point premium materials of the finest quality, we work passionately to bring our customers pure vaping pleasure. Just pop the flavor cap of your choice into the top of your Bō and take a puff. An LED light on your device illuminates to indicate the strength of each pull.